Consider these common approaches for generating retirement income to help you decide what's best for your situation. Use this chart to consider the pros and cons of three common strategies for generating retirement income. You have a sizeable portfolio and are extremely uncomfortable with dipping into your principal. Helps preserve your savings for your heirs. Income is more susceptible to rate fluctuations. Your first-year withdrawal is the amount of money you need to cover a year’s worth of expenses, minus other sources of income such as Social Security, pensions, real estate, or part-time jobs. What if you don't have this? A Schwab Retirement Consultant can help you create a realistic plan for working with what you have now. Call 877-673-7970 for a personal consultation. You need both investment income and withdrawals from principal to cover your retirement expenses. Requires a smaller portfolio than the "interest and dividends only" approach. You could potentially outlive your savings. You want guaranteed income from a portion of your savings and are willing to give up some control of the assets you invest in an annuity. A guaranteed source of income regardless of market movements. Less risk of outliving income. Inflation can erode the buying power of fixed payments unless the annuity includes inflation protection. Assets may not be available for big emergency expenses. Annuity income guarantees are subject to the claims-paying ability and financial strength of the issuing insurance company. Fund your retirement primarily from the interest and dividends your savings generate, withdrawing principal only if necessary. This is the approach many new retirees prefer because it's simple, it's understandable, and it helps keep savings intact. However, it requires a substantial portfolio— roughly 30 times the amount of your first-year withdrawal.1 And usually it doesn't take inflation into account, which can greatly impact your spending power over a long retirement. Maintaining an appropriately allocated portfolio, you'll invest your retirement savings in bonds and other fixed income investments that are designed to generate income. Use different bond sectors, maturities, and types to manage income as well as risk. If you're looking forward to many years in retirement, you may need to invest a portion of your portfolio in stock investments with some growth potential to counteract the impact of inflation over time. You can withdraw interest and dividends as they are generated, and draw down investment principal only if needed. Draw your income from a combination of the interest and dividends that your investments generate, plus paced withdrawals from principal. For most of us, the interest and dividends our savings generate will not be enough on their own to cover all of our expenses in retirement. We'll also need to make regular withdrawals from our investment principal. You invest your retirement savings according to an asset allocation plan that reflects your time horizon, comfort with risk, need for income, and other goals. With each successive year, you increase withdrawals to keep pace with inflation. By limiting your first-year withdrawal to no more than 4%, you give yourself a high probability of being able to sustain that level of withdrawal for 30 years. Supplement your interest and dividend income and principal withdrawals with guaranteed income from an annuity. Guarantees are subject to the financial strength and claims-paying ability of the issuing insurance company. You may feel more comfortable about investing a portion of your portfolio in potentially higher-return investments that pay variable income IF you know that a portion of your retirement expenses will be covered by a guaranteed stream of income. You use a portion of your retirement savings to purchase an annuity that pays a guaranteed stream of income for a set period of time or for life. You invest the remainder of your retirement portfolio in a combination of income and growth investments that provide variable income depending on market conditions. This strategy provides you with the knowledge that your essential expenses are covered, while enabling you to participate in the market. Withdrawing funds? Learn how to take a systematic approach. 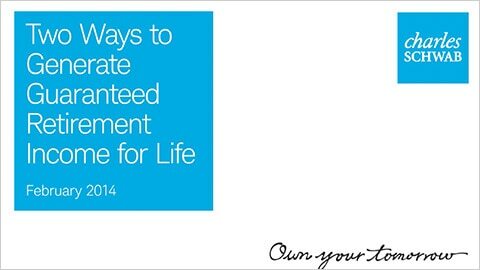 See how annuities help you generate guaranteed income for life. 1. 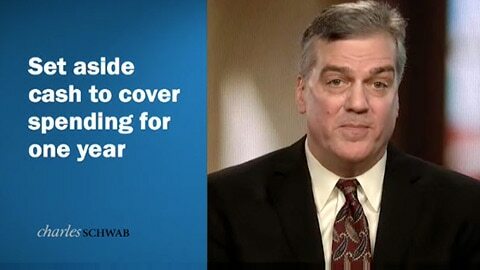 Source: “What Role Should Fixed Income Play in Your Retirement Portfolio?” by Rob Williams, February 5, 2010. 2. Source: “Is the 4% Rule Still Appropriate?” By Rob Williams, August 5, 2014. 3. Sources: “Write Your Own Retirement Check,” by Rande Spiegelman, updated March 4, 2011, and “Can You Still Retire?” by Rande Spiegelman, October 9, 2008. Interest and dividend income is subject to fluctuation and is not guaranteed. Principal is subject to market devaluation, and your investments could lose money. Income from investments, withdrawals from investment accounts, and proceeds from investment sales may be taxable. You may want to consult with a tax advisor. The investment strategies mentioned here may not be suitable for everyone. Each investor needs to review an investment strategy for his or her own particular situation before making any investment decision. Examples provided are for illustrative (or informational) purposes only and are not intended to be reflective of results you can expect to achieve. Charles Schwab & Co., Inc. and Charles Schwab Bank are separate but affiliated companies and subsidiaries of The Charles Schwab Corporation. Brokerage products are offered by Charles Schwab & Co., Inc., member SIPC. Deposit and lending products and services are offered by Charles Schwab Bank, member FDIC and an Equal Housing Lender.